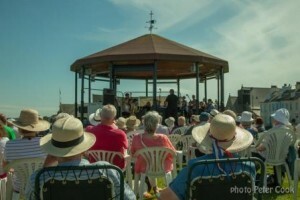 Summer Music Week details are here | Music Matters | Because it does. Doesn't it ? 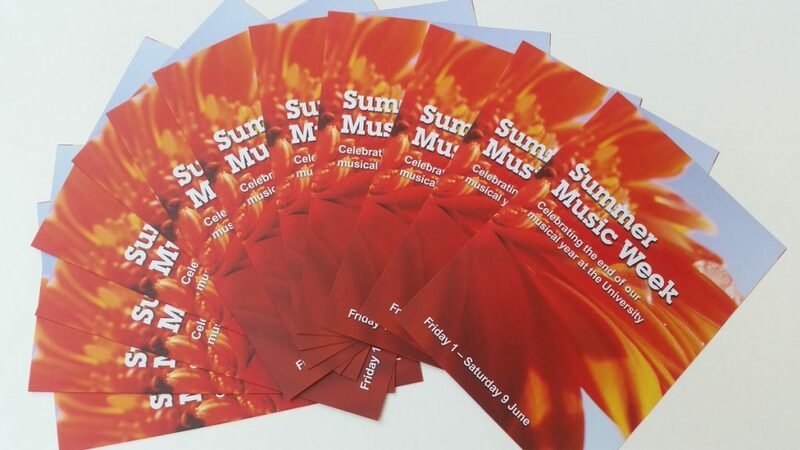 With the current weather promising the arrival of summer, blue skies and summer sunshine this morning greets the arrival of our new Summer Music Week brochures, to much excitement here in Colyer-Fergusson. 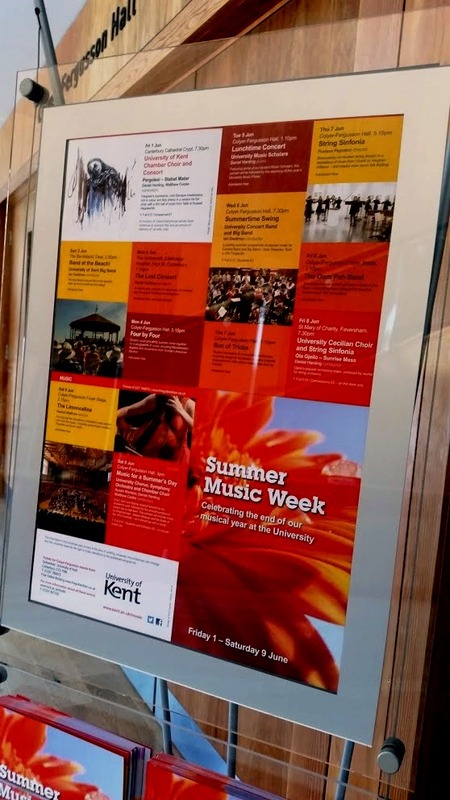 Our annual festival bidding a fond musical farewell to another year of music-making at Kent takes place this year from Friday 1 to Saturday 9 June; as you see, there’s so much packed in to this year’s celebrations that we’ve had to expand it to Summer Music (Just Over A) Week. 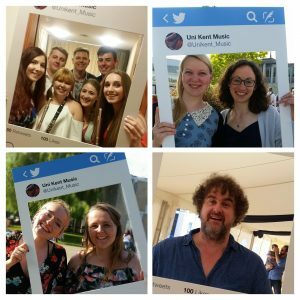 This year, #summermusicweek kicks off the with the University Chamber Choir and Consort in the Crypt of Canterbury Cathedral on Friday 1 June in a concert including Pergolesi’s dramatic Stabat Mater; that weekend also sees the Big Band heading out for its customary trip to the seaside for a performance on the Deal Memorial Bandstand at 2.30pm on Sunday 3 June. There then ensues a week of musical mayhem, including a Music Scholars Lunchtime Recital, the String Sinfonia, the usual roof-raising gala for the Concert and Big Bands, the Cecilian Choir and Sinfonia performing in the spacious acoustic of St Mary of Charity in Faversham, and other chamber ensembles performing, all of which culminates in the traditional Saturday Gala concert featuring the Chorus, Orchestra and Chamber Choir followed by cream teas and tears of farewell. Find out all that’s to come on the online What’s On here, or download the new brochure here. 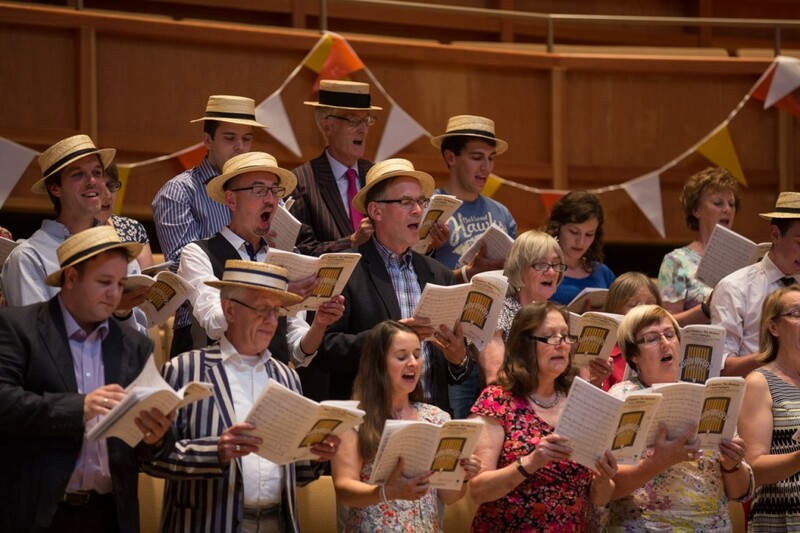 You can also follow the events and the build-up to Summer Music Week on @ukcsummermusic on Twitter; grab your straw boater and parasol, and join us in our last musical hurrah before the curtain falls on what has already been a terrific year of music-making.